In the 2012 Giro, Ryder Hesjedal moved into the pink jersey after an impulsive attack on the Cervina (today’s finishing climb). The move saw him steal 26 seconds from GC rival Joaquim Rodríguez, which ultimately proved decisive as the Canadian went on to the win the overall by just 16 seconds. It’s the penultimate day in the Alps, and yet another stage in which anyone hoping for a high place on the GC cannot afford to have a bad day. With the end in sight, no one will want to throw away three weeks of hard work with a significant time loss today. There’s plenty of scope for things to go wrong, however. 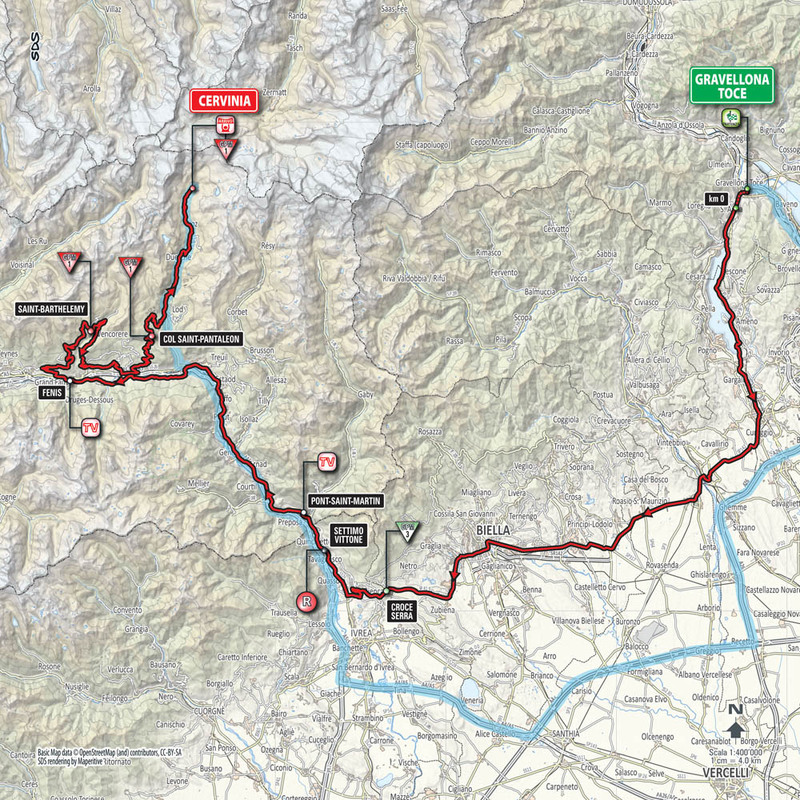 The stage lasts an excruciating 236km, making it by far the longest day in the mountains and the only stage in the final week to exceed 200km. 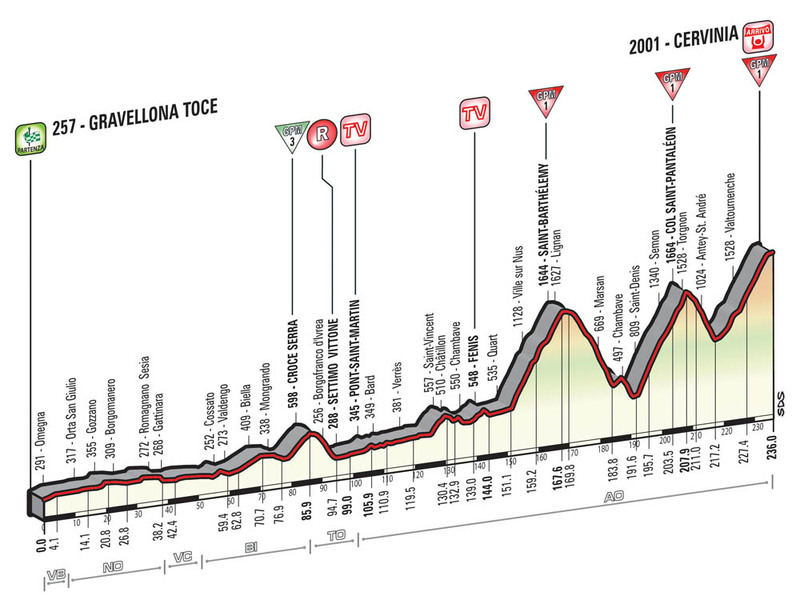 The first 150km are flat, before the first of the day’s three mountains hits. First up is Saint-Barthélemy, and at around 20km long, it will bring riders close to the limit but not yet blow the race apart.